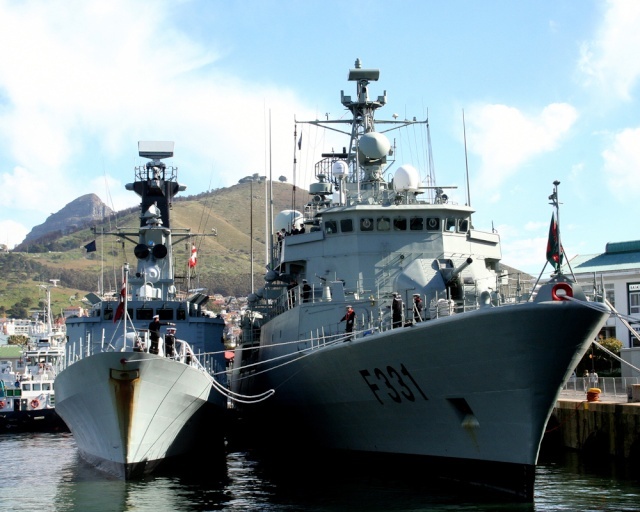 During the transit from La Spezia to Naples, the Standing Naval Force Mediterranean (STANAVFORMED) units conducted a Photo Exercise (PHOTEX) the 9th June. 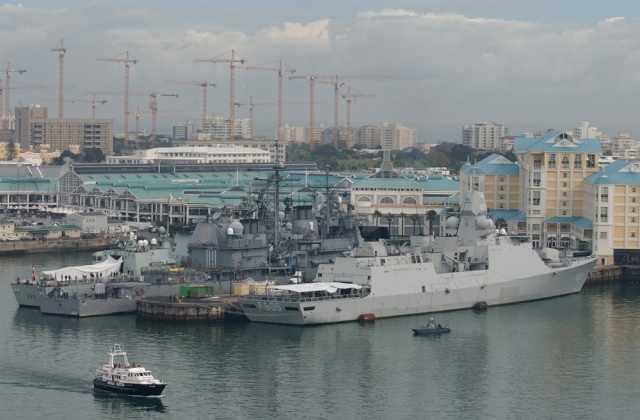 From left to right, SPS Extramadura (Spanish Navy), ITS Grecale (Italian Navy), FGS Schleswig-Holstein (German Navy), USS Elrod (United States Navy) and HMS Newcastle (Royal Navy). 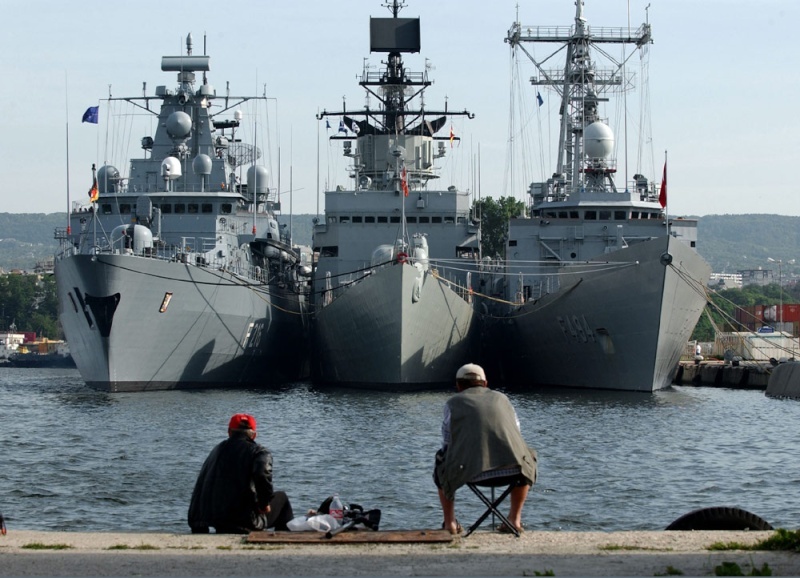 STANAVFORMED : Cooperative Partner 2004 - NATO Exercises with Partners in the Black. 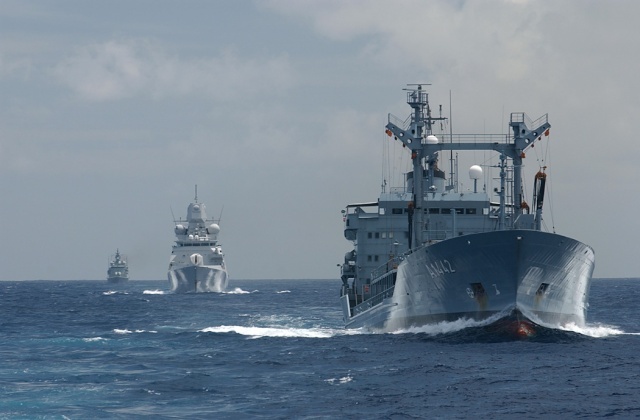 STANAVFORMED flagship FGS Schleswig- Holstein, German Navy, SPS Extremadura, Spanish Navy, TCG Gokceada, Turkish Navy. 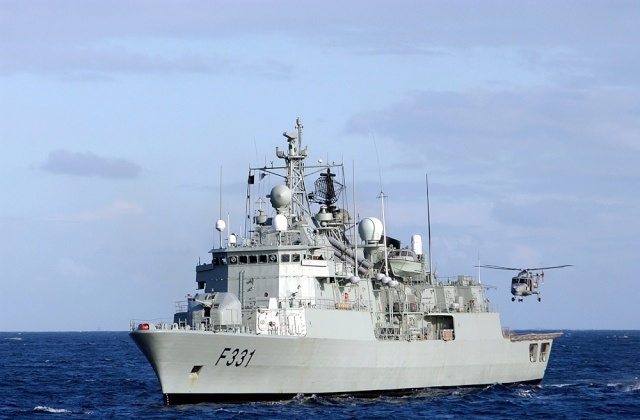 25 Sep 2007 - SNMG 1 TRANSIT PAST SOMALIA - As part of an historic circumnavigation of Africa, the Standing NATO Maritime Group 1 have recently left the port of Victoria in the Seychelles and are currently passing the coast of Somalia. 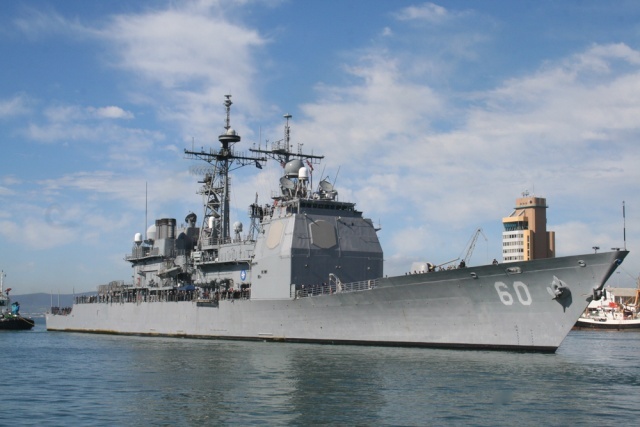 The USS Bainbridge has taken over from the USS Normandy as the Flagship of the Task Group. In the time honoured traditional send off the USS Normandy marking her four months of exemplary duty as the Flagship performed a sail past. 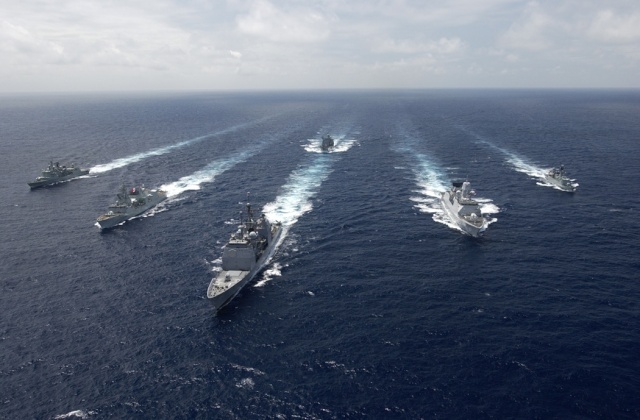 The ships in the Task Group exercised their guns in preparation for any contingency, along with close-quarters tactical manoeuvres. 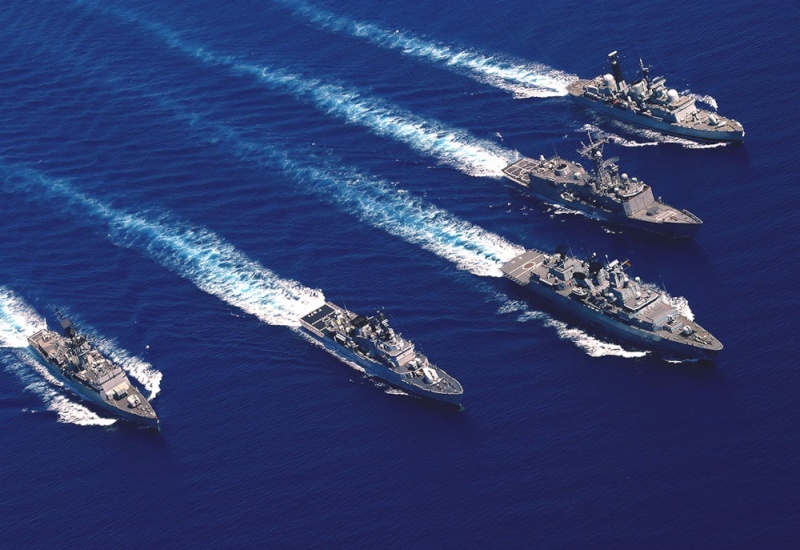 ATLANTIC OCEAN (Aug. 13, 2007) - The ships of Standing NATO Maritime Group (SNMG) 1 transit in formation for a photo exercise. 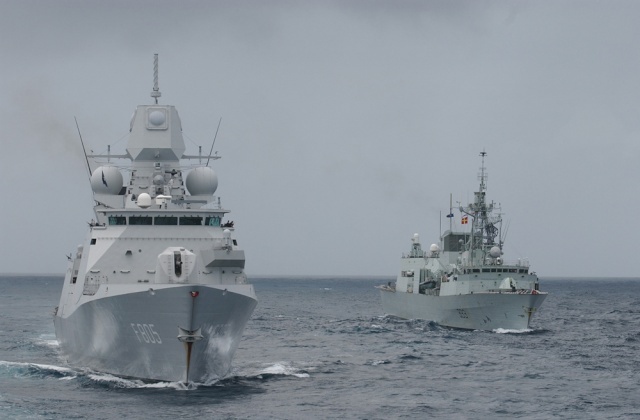 From left, Portuguese frigate NRP Alvares Cabral (F331), Canadian frigate HMCS Toronto (FFH 333), guided-missile cruiser USS Normandy (CG 60), German replenishment tanker FGS Spessart (A 1442), Dutch frigate HNLMS Evertsen (F805), and Danish corvette HDMS Olfert Fischer (F355). 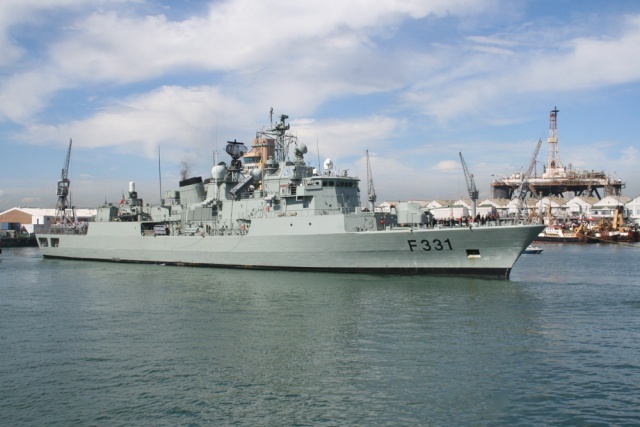 Normandy is flagship for SNMG-1. 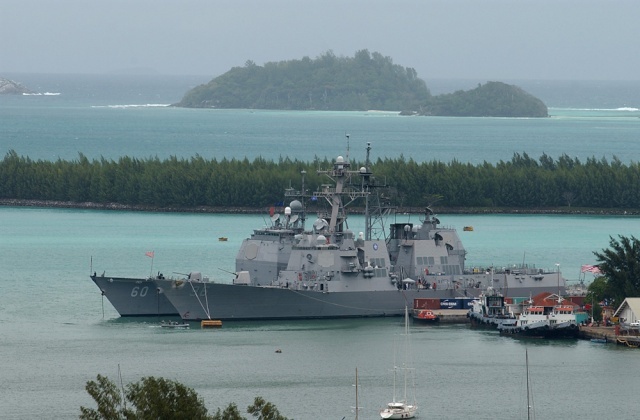 17 Sep 2007 - The six ships that currently comprise SNMG1 came into port in the Seychelles last Friday, where the were joined by the USS Bainbridge who will be taken over as flagship from the USS Normandy. 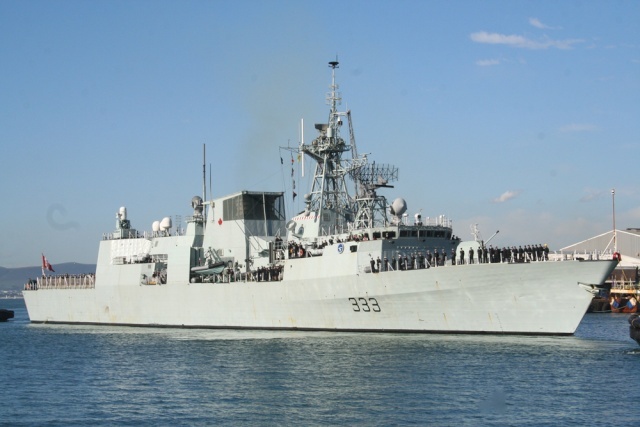 OFF THE COAST OF YEMEN IN THE RED SEA – On the afternoon of 30 September 2007, Standing NATO Martime Group 1, transiting North in the Red Sea, received a report from Canadian ship HMCS TORONTO of an explosion some 80 nm to the North of the force. 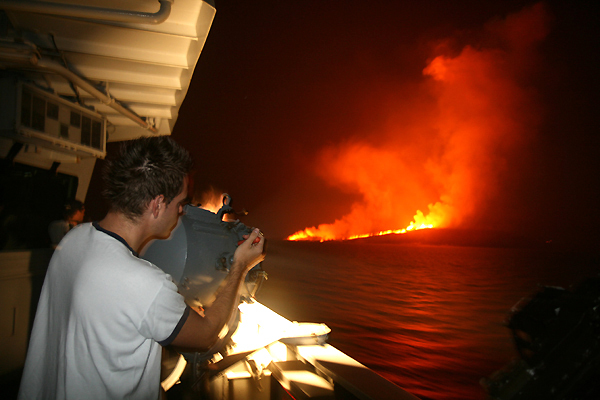 Two ships, NRP ALVARES CABRAL (Portugal) and HNLMS EVERTSEN (The Netherlands), scouting ahead of the force, were on scene by late afternoon, confirming a volcano eruption on the Yemeni Island of Jazirat at Ta’ir. 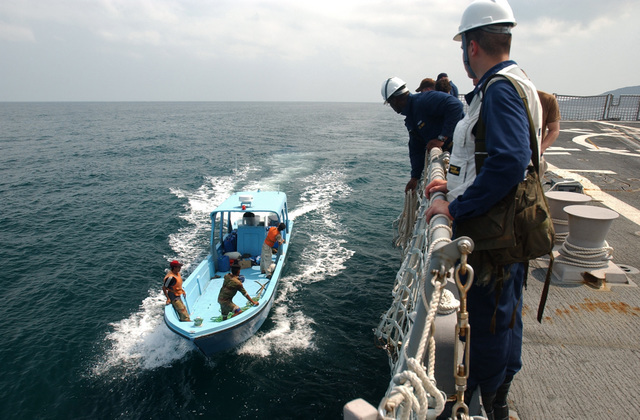 Working directly with the Yemen Coast Guard Operations Center, the Force of six NATO ships including Portuguese frigate NRP ALVARES CABRAL with her Lynx Mk95 helicopter, American destroyer USS BAINBRIDGE, flagship of the Commander NATO Maritime Group 1, Dutch frigate HNLMS EVERTSEN, Danish frigate HDMS OLFERT FISCHER, German oiler FGS SPESSART and Canadian frigate HMCS TORONTO, searched the waters around the island throughout the night for any survivors in the aftermath of the volcano’s eruption. The alarm was raised in BAINBRIDGE this morning as a man was sighted in the water. At 0845 hours local, BAINBRIDGE recovered a Yemeni survivor from the water, tired from his overnight ordeal, but in good health and spirits. Shortly thereafter, HMCS TORONTO recovered a second survivor. 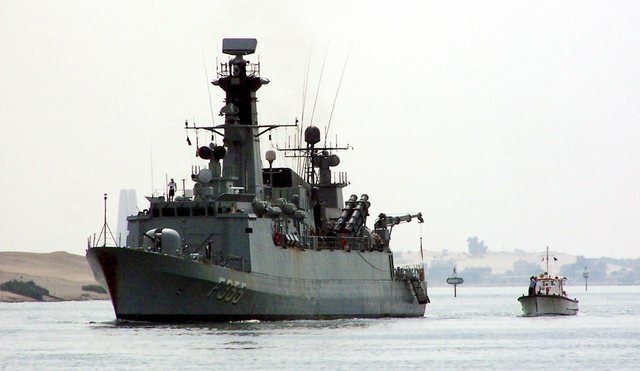 After consultation with the Yemen Coast Guard, SNMG1 ships are remaining in the vicinity of Jazirat at Ta’ir to continue the search for survivors. 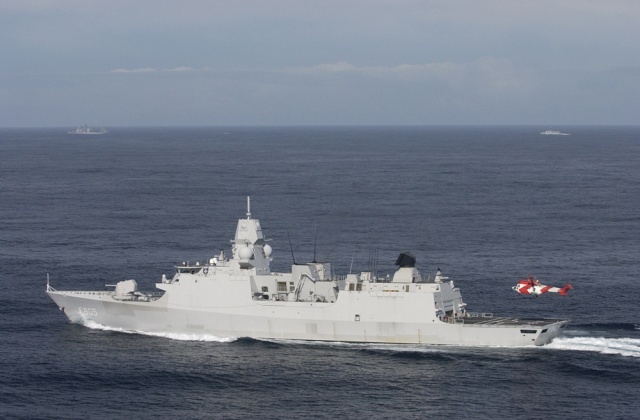 Het Nederlandse fregat Hr.Ms. Evertsen biedt sinds zondagavond hulp na een vulkaanuitbarsting. 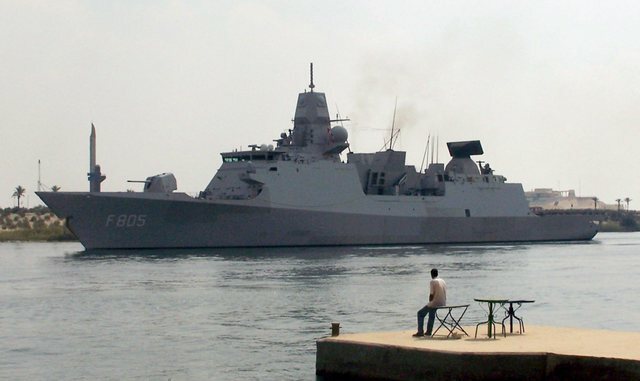 Het schip maakt momenteel deel uit van het permanente NAVO-eskader dat opereert in de Hoorn van Afrika. Op het eiland Jazirat at Ta'ir is zondagnacht een vulkaan uitgebarsten. De kustwacht van Yemen riep de hulp van het NAVO-eskader in om naar vermiste bewoners van het dunbevolkte eiland te zoeken. Hoeveel eilanders vermist zijn is nog onduidelijk. Het NAVO-eskader zal in ieder geval de gehele maandagochtend doorzoeken. Hoewel gevreesd werd dat alle vermiste bewoners overleden waren, zijn er inmiddels meerdere gered. Na de reddingsoperatie zal het eskader doorvaren naar de Middellandse Zee, waarmee ze haar rondreis van Afrika heeft voltooid. 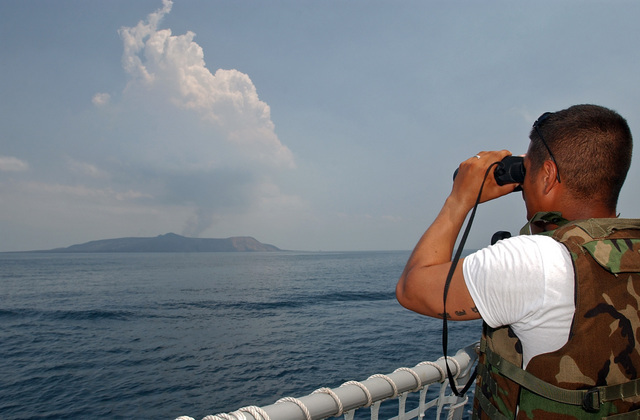 RED SEA (Oct. 2, 2007) - Guided-missile destroyer USS Bainbridge (DDG 96) monitors the waters around the Yemeni island of Jabal at-Tair in search of survivors after a volcano erupted on the island Sept. 30. Bainbridge has been conducting search and rescue operations in the area for the past two days. RED SEA (Oct. 2, 2007) - Sailors assigned to guided-missile destroyer USS Bainbridge (DDG 96) patrol the waters around the Yemeni island of Jabal at-Tair searching for survivors after a volcanic eruption on the island Sept. 30. Bainbridge has been conducting search and rescue operations in the area for the past two days. 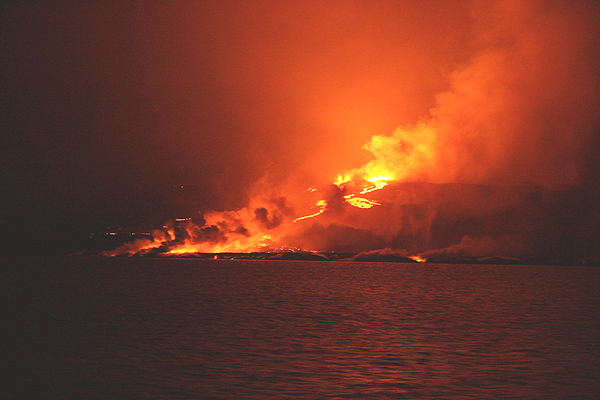 RED SEA (Oct. 2, 2007) – Lava sends steam into the air as a lava flow cools along the shoreline on the Yemeni island of Jabal at-Tair Oct. 02, 2007. 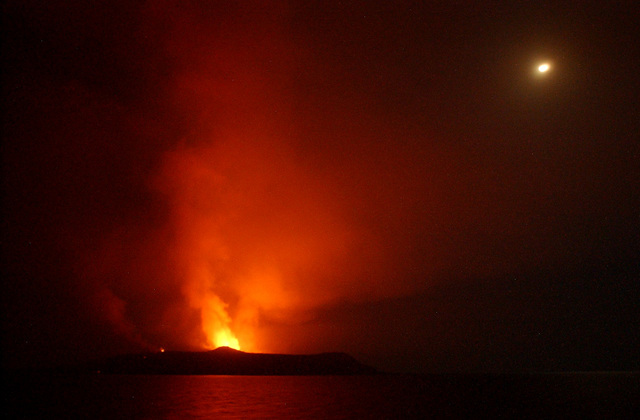 Volcanic eruptions started on Sunday, Sept. 30, forcing the inhabits of the island to evacuate by sea. U.S. and NATO forces in the area have rescued survivors and continue to search for any other stranded by the eruption. 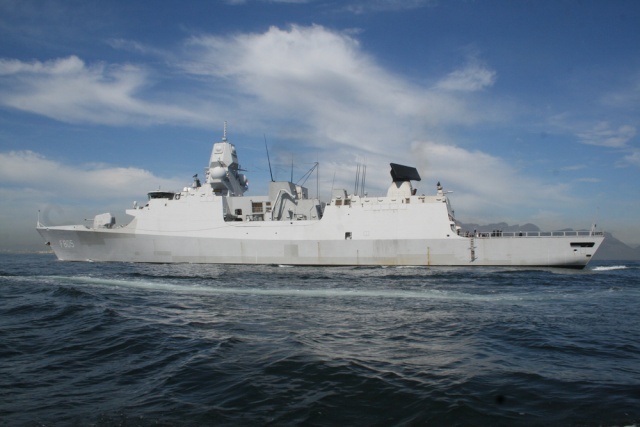 The Dutch Navy ship, HMNLS Evertsen, makes its way as part of a convoy of five NATO warships from Germany, the US, Canada and Denmark, through the Suez Canal from the Red Sea, 06 October 2007 to take part in war exercises in the Mediterranean Sea. 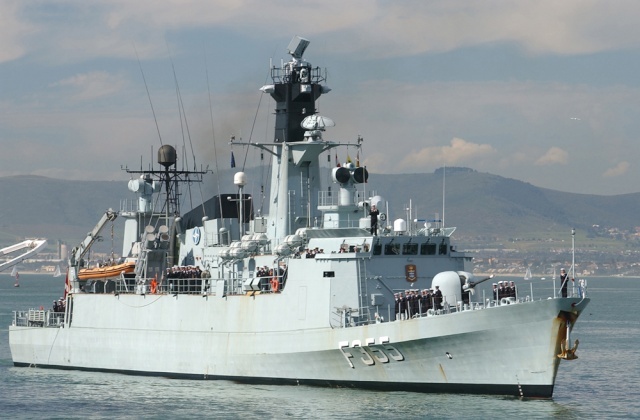 The NATO ships recently completed naval manuevers off the coast of Africa and the Arabian Sea. 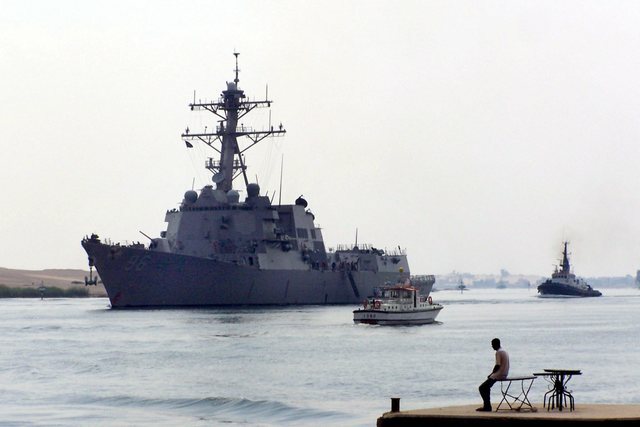 A man watches as the US Navy ship, USS Bainbridge, makes its way as part of a convoy of five NATO warships from Netherlands, Germany, Canada and Denmark, through the Suez Canal from the Red Sea Saturday 06 October 2007 to take part in war exercises in the Mediterranean Sea. 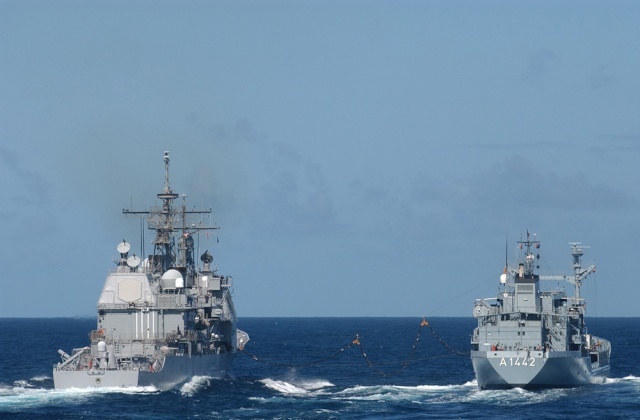 The NATO ships recently completed naval manuevers off the coast of Africa and the Arabian Sea. 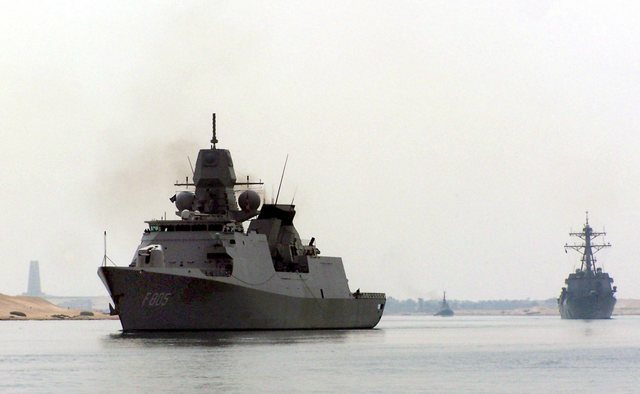 The Danish Navy ship, HDMS Olfert Fischer, makes its way as part of a convoy of five NATO warships from Netherlands, the US, Canada and Denmark, through the Suez Canal from the Red Sea, 06 October 2007 to take part in war exercises in the Mediterranean Sea. 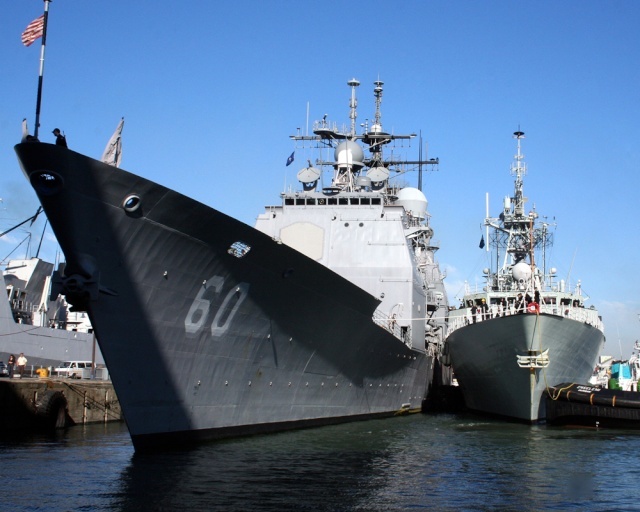 The NATO ships recently completed naval manuevers off the coast of Africa and the Arabian Sea. 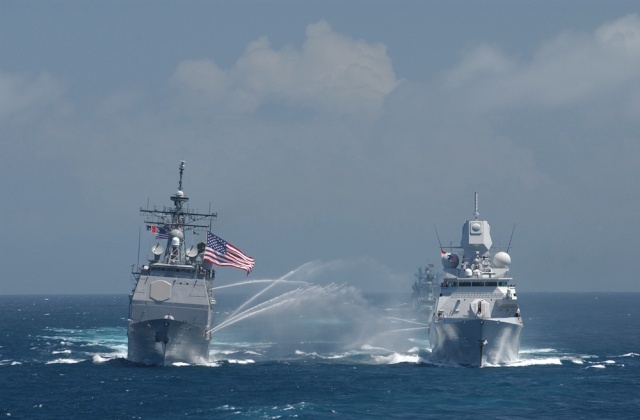 Mille six cents, c’est le nombre de marins qui ont participé à l’exercice OTAN Spontex 2007, du 2 au 10 octobre. L’exercice, organisé tous les deux ans, vise à tester les capacités et échanger les savoir-faire en matière de lutte anti-sous marine, l’un des domaines d’excellence de la marine française. 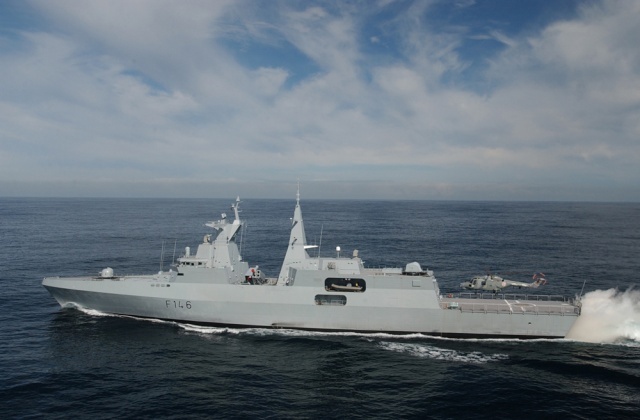 Préparé et dirigée par Alfan, l’amiral commandant la force d’action navale, l’opération a réuni dans le Golfe de Gascogne des moyens importants provenant de 4 pays (France, Italie, Allemagne et Angleterre) dans le cadre d’un scénario très actuel : l’évacuation de ressortissants. Pendant une semaine, 5 navires et des aéronefs, avions de patrouille et hélicoptères, ont traqué 2 sous-marins nucléaires d’attaque les menaçant. Les bâtiments de surface ont également dû faire face à une menace asymétrique. Spontex 07 a mobilisé les moyens français suivants: les frégates Tourville et Primauguet, les avisos PM L’Her et LV Le Hénaff, le sous-marin nucléaire d’attaque Casabianca, des Hawkeye, Rafale, et Super Étendard des base aéronavales de Lann-Bihoué et Landivisiau.